Collectors everywhere aremarveling at our DiGiovanninativity sets. Inspired by theold-world artisans of northernItaly, each hand-paintedpolymer figurine is an authenticreplica of hand-carved woodpieces. 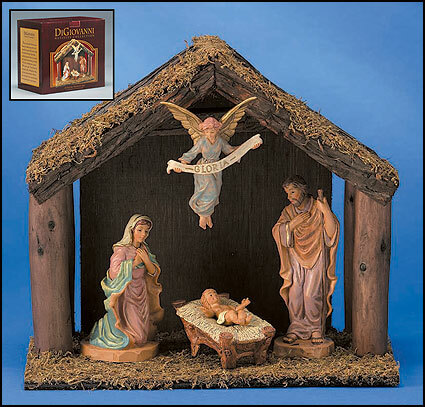 Begin collecting thesedetailed nativity figurines foryour family and continue atime-honored tradition oflove and spirituality that will last a lifetime. Figures: 6" H,Stable: 12.25" W x 10" H x 7" D.4 pcs per set, 1 set.